The Internet of Things community™ (IoT Community™), the world’s largest network of CxOs and IoT professionals, today announced the agenda for its Second Annual IoT Slam® Live Internet of Things conference taking place June 21 – 22, 2018 at the Archie K Conference Centre, Raleigh, Durham, North Carolina, USA and broadcasting live in real-time globally online via the cloud; accessible via any desktop, laptop, tablet, or mobile connected device. The event marks the IoT Community’s 6th international IoT conference, and that provides the global IoT ecosystem with a unique opportunity to learn from experts and the best of the best IoT practitioners who are designing, developing, and shaping the future of the IoT landscape. With expert contributions from elite IoT practitioners at leading-edge organizations including IBM, SAS, Zebra Technology, Amazon AWS, Spirent, T-Systems, SAP, Tibco, Teradata, Intel, Cisco Systems, Momenta Partners, Veta Health, D4Dt, Lunera Lighting, Simtelligent, Influx Data, DXC, Accenture, Exostar, entegra, Seek Thermal, DZee Solutions, Endpoint Security, Kiana, Rambus, Data Nexus, amongst other leading industry players from the IoT ecosystem, demonstrating first hand and real-world business use-cases and thought leadership around the application of IoT in corporate, enterprise and Industrial ecosystems, at this marquee Internet of Things Conference. IoT Slam® Live 2018 features the most significant and important advances in a holistic sense addressing all aspects of IoT. It is a must-attend event for anyone globally seeking to learn about best practices, advances and applications of IoT. “We are excited to announce the first-class agenda for the Second Annual IoT Slam® Live 2018 IoT Conference.” said Bill Mortimer, Vice President of Strategic Marketing at Spirent Communications, and IoT Community Advisory Board Chairman. “We have another tremendous line-up of world-class speakers and content for this next instalment of the IoT Slam® series and our second in-person gathering. We are very pleased to deliver an event that features real-world industry use cases and meaningful takeaways that will provide actionable insights on key industry themes. We look forward to welcoming and hosting our IoT Community™ consisting of enterprise & industrial IoT industry practitioners at the event in-person at Raleigh, NC. For those members who cannot attend in-person, we announced in December last year that all individual members now get free access to the real-time virtual broadcast. Commenting on the announcement, David Hill, Executive Director of the IoT Community™ said, “We are excited to showcase another world class line-up of IoT thought leaders and practitioners at the second annual IoT Slam® Live event. This represents fresh perspectives, exclusive insights, and real-world industry best practices. We invite the IoT ecosystem to join us June 21 – 22 in RTP and for members around the globe, to plug into our online live broadcast. As an open, inclusive and community oriented group of smart thinkers, individual membership is free and open for all practitioners to connect with us via our various channels. 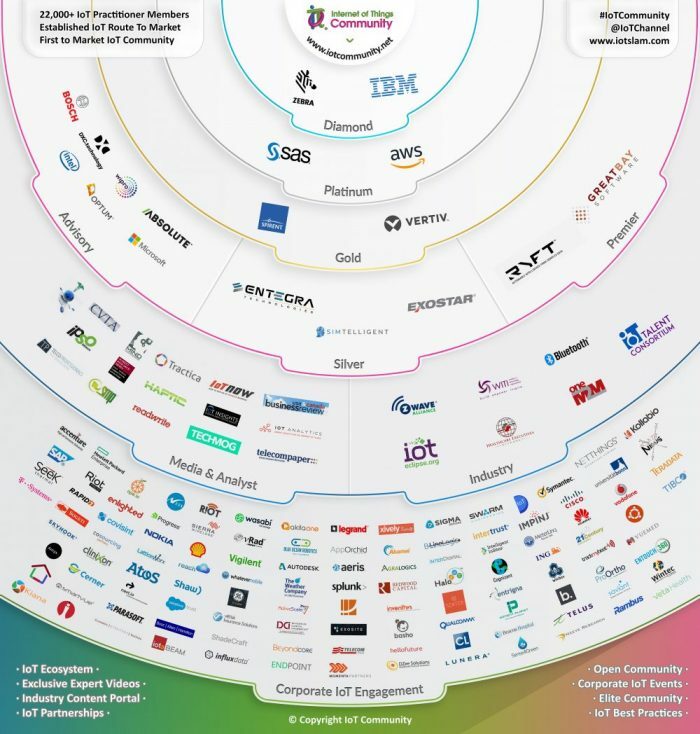 IoT Practitioners seeking more information about IoT Slam® Live 2018 and to register now should visit http://iotslam.com/register/. Media organizations interested in covering IoT Slam Live 2018 should email media@iotslam.com . IoT Slam Live 2018 – The Internet of Things Community’s second annual in-person IoT conference and its sixth international conference overall, covering a horizontal industry perspective, across the entire spectrum of IoT. IoT Slam Live take place June 21-22, 2018, Research Triangle Park, North Carolina, USA. 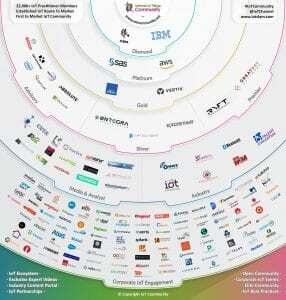 Visit www.iotslam.com. IoT Slam Live delivers the best in class IoT Strategy, Leadership, Advisory and Methodology – (SLAM)™.